Sri Lanka have been the most exciting team of the Women’s World Cup so far, having surprised defending champions England and knocked hosts India out of the tournament. Eshani Kaushalya has been the face of this feisty bunch of little-known cricketers. The sight of the stocky, broad-shouldered all-rounder smashing sixes is one of the enduring images of the group stage. Kaushalya’s on-field aggression has matched the robustness of her frame. One half expects to meet a stern, no-nonsense woman but it is a shy, smiling Kaushalya who walks into the team manager Mr. Aroos’ room at the team hotel. Read the rest of this entry ? 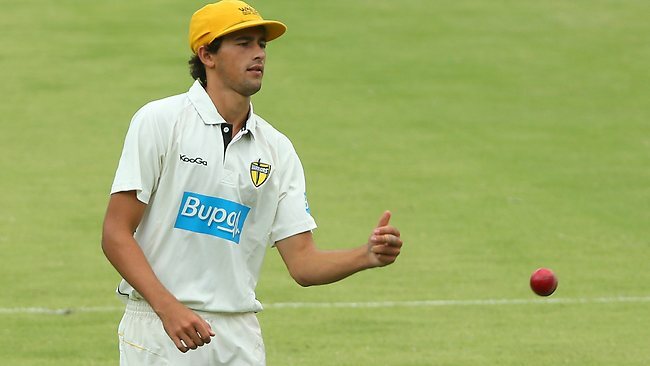 JOHN Inverarity the umpire took only a few seconds to be sold on 19-year-old spinner Ashton Agar. Inverarity, the Australian selection boss, arrived to watch a Perth Scorchers practice match late last year only to be told he was required in an umpire’s hat rather than sitting on the sidelines. It was his first glimpse of Agar, the left-arm spinner of Sri Lankan heritage who had moved from Melbourne to Perth to try to get a foot in the door in first-class cricket. Inverarity liked what he saw and the youngster’s name went in a page of his little black book, which was opened again recently when Australian selectors picked a squad for the four-Test Indian Test series this month. Read the rest of this entry ? INTRODUCTION: The Murali Cup is an initiative of the Foundation of Goodness (FOG), a grassroots charity championed by the great Muttiah Muralitharan, Kumar Sangakkara and Mahela Jayawardena. The simple idea is to bring together young cricketers from different backgrounds to foster cross-cultural friendships and harmony as well as develop cricket skills. The tournament was started in 2011 with an eight-team schools tournament in Seenigama on Sri Lanka’s beautiful south-west coast. 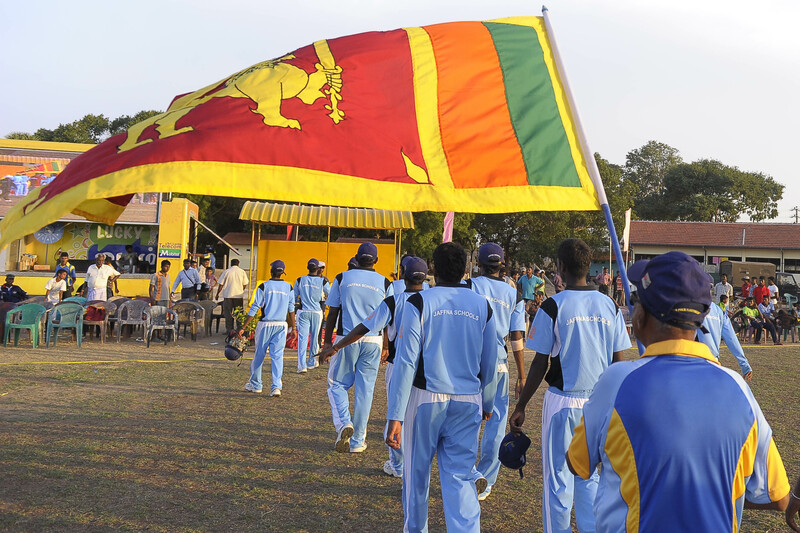 Then in 2012 we staged a special reconciliation tournament with the assistance of the International Cricket Council in the previously war-torn northern province with a total of 20 local teams. Read the rest of this entry ? *Please accept my heartiest congratulations in your appointment as the Chairman of the Selection Committee. 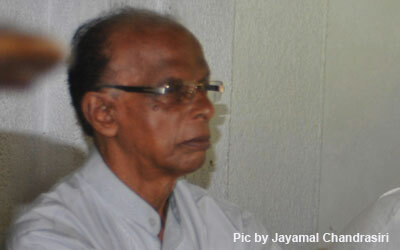 * You richly deserve this job as your contribution to Sri Lanka Cricket is second to none. But you have a big task to clean up the place. Although we have some temporary success in the T20 and 50 over ODI’s, the future appears to be doomed after Mahela, Sanga and Dilshan gives up. Although we have a lot of young batting talent in Chandimal, Kusal Perera, Dimuth Karunaratne and a few others, they need a lot of exposure at the highest level to be able to be selective in their shot making. Now they take a lot of risks but with more experience they Read the rest of this entry ? 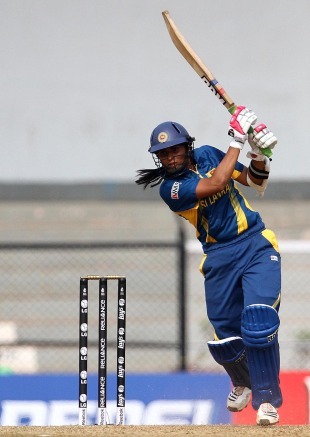 Sri Lanka won by one wicket off the last ball of the match – both are firsts in Women’s World Cup. Sri Lanka‘s total of 244 is the highest by any team batting second in the World Cup. It’s only the second successful run-chase of a target of 190 or more in 79 attempts in a World Cup game. The previous one was by New Zealand against India in 2009. Sri Lanka struck five sixes, including the final hit of the match. It’s the first time any side has struck more than four sixes in a World Cup game against England, and the second time in any ODI against them. 48.1 Hazell to Kaushalya, no run, plays and misses. 48.2 Hazell to Kaushalya, 1 run, driven down the ground to long off. 48.3 Hazell to Rasangika, 1 run, to the sweeper cover. 48.4 Hazell to Kaushalya, 1 run, hit down the ground to long on. 48.5 Hazell to Rasangika, OUT, hit in the air behind point and Elwiss takes the catch. 48.6 Hazell to Surangika, 1 run, played to deep midwicket. 49.1 Elwiss to Surangika, 1 run, gets it to short fine leg. 49.2 Elwiss to Kaushalya, SIX, goes all the way over the fence for a six, over square leg. 49.3 Elwiss to Kaushalya, 1 run, oh! Elwiss has dropped the match, as Kaushalya miscues it high in the air. 49.4 Elwiss to Surangika, OUT, driven to mid-off, and what do we have now, a run out as Kaushalya takes off from the non-strikers end for a non-existant single. 49.5 Elwiss to Surangika, no run, driven straight to backward point. 49.6 Elwiss to Surangika, SIX, hit well in the air and over the midwicket fence and Sri Lanka win. I can’t think of a bigger upset in 40 years of Women’s World Cup cricket than Sri Lanka’s win over England. The defending champions lost to a side that had never beaten them before, and who didn’t win a single game at the last World Cup in 2009. It was a match that defied expectations and Sri Lanka have improved beyond recognition from the side I watched in both the 2005 and 2009 tournaments. There was a strength and sense of fight in this team built on a trust of their instincts and ability. After the game, Sri Lanka players and friends lingered long on the verandah of the dressing rooms at the Cricket Club of India, while small square tables and wicker chairs began to be set out on the edge of the outfield for club members to enjoy dining in the evening sun. It was a happy melee, with team captain Shashikala Siriwardene grinning from ear to ear as she was congratulated by passers-by doing their nightly exercise on the walking track around the boundary. A chat with team manager and selector ARM Aroos helped to shed some light on just how Sri Lanka have transformed themselves in the last couple of years. He pointed firstly to Sri Lanka Cricket contracts and match fees, which are now awarded at a rate of US$100 for an ODI and US$50 for a T20. The fees aren’t much, but the contracts provide a monthly income. They were only introduced in 2011 and the injection of spending by SLC appears only to have started in earnest since then, even though SLC had responsibility for the women’s cricket in the country from as early as 2005, when the International Women’s Cricket Council merged with the ICC. Prior to that, women’s cricket on the island was coordinated by Gwen Herath, a tireless former president of the country’s Women’s Cricket Association. She ensured Sri Lanka became a member of the IWCC following the men’s World Cup win of 1996, and in 1997 Sri Lanka’s women played their first international matches. Victory over England is by far their biggest moment since then. Besides the contracts, the women’s game has a strong domestic structure, based around schools and provincial tournaments. The country’s military plays a huge part in nurturing the best players, as the Sports Clubs of the Sri Lanka Navy and Air Force run teams that feature most of the players in the side that beat England. Players are contracted for up to five years at a time, not to work in the military but to play cricket, and those contracts could be worth 35,000 rupees per month (US$277 or £175). It is enough to make a difference. You are currently browsing the Critiquing Cricket blog archives for February, 2013.